The purchase of AgustaWestland VIP choppers by the Chattisgarh government, a multi-million dollar deal, a decade ago came under the scanner of the Supreme Court today. A bench of justices Adarsh Kumar Goel and U U Lalit asked the state government to furnish within one weeks time the original documents of the procurement of the helicopters. This came on a petition filed by Swaraj Abhiyan represented by noted lawyer Prashant Bhushan. It alleged that bribes were paid. A 30% kick back has been alleged by the petition. The petition said chief minister Raman Singh's son Abhishek Singh has also been linked to the controversy after it emerged that he had formed a shell company six months after the purchase of the $6.3 million helicopter. Justice Misra had asked Bhushan to get the petition served in the central law agency to enable the government to examine it and come back to court with a response in November. That bench was initially reluctant to entertain the PIL since the helicopters were purchased in 2007, but Bhushan argued that a matter of public interest could not be brushed aside only on the ground of delay. “We have got this information under the RTI now. How do you collect the information when those who have to disclose it are sitting in the same offices and control everything? The petition makes it crystal clear that commissions were paid illegally in purchase of these helicopters,” he had contended. 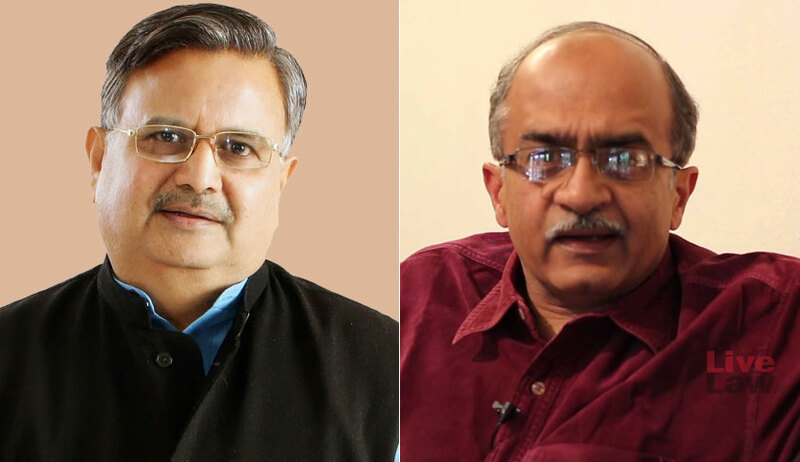 Bhushan had added that it was not a coincidence that Raman Singh’s son had allegedly opened bank accounts in tax havens of British Virgin Islands around the time the choppers were bought by the state. The court, however, had said that before issuing notices in the case, it would want to seek a preliminary reply from Centre since the CBI was already probing similar cases relating to AgustaWestland.